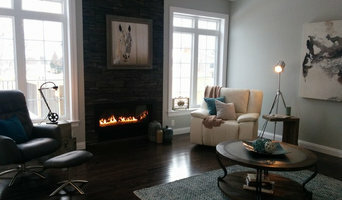 Designer serving Greater Fredericton - Best of Houzz 6 years in a row! Case’s has a very disciplined approach to service and our customers. We renovate with the most up to date building practices, are members of the Canadian, New Brunswick, and the Fredericton Home Builders’ Association. We are a dealer for Global and Mitten. We have a full staff of licensed carpenters, skilled laborers and office management with 3D architectural drafting utilized on many projects. We can return written estimates and samples to customers within 48 hours on most projects. Case’s is very dedicated to its customers, the home renovations industry, the Homebuilders Association, and to maintaining our market share as one of the premier renovation companies in the region. As our motto says, “Faith in our products, Pride in our work”. fineartistmade is the husband and wife design/build team of Patrick Mealey and Joyce Jackson - both working artists based in Down East, Maine. 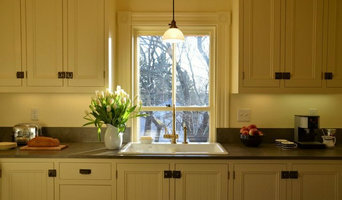 We specialize in custom kitchens and baths - built to fit seamlessly in antique or new homes. After many years restoring homes in the Hamptons - we made a move to a farm overlooking Boyden Lake that was established in the 1820s. Our restored 1890's home has been featured in Old-House Interiors and Down East magazines and the HGTV show, If Walls Could Talk. Our projects have been featured in House Beautiful, Old House Journal, Old House Interiors & Down East magazines. In 2009, we launched a furniture collection, The Tradition of the New - unique designs - a synthesis of folk art, antiques and contemporary living.Our pieces are handcrafted in our Perry workshop - recent additions to the collection are cutting boards from our Little River line, North Fork wine rack and more gift box designs. In 2012 we were honored that our side tables were Editors' Choice in Down East magazine's 58th annual Best of Maine issue. 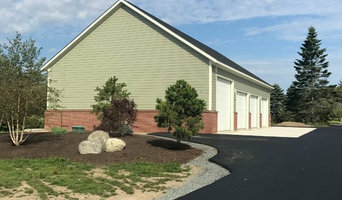 We offer general contracting service as well as custom carpentry and roofing. We are a local company dealing in residential new construction and renovation. We do everything from frame to finish as well as light commercial. We pride ourselves in striving for energy efficient home solutions. No job too big or too small. 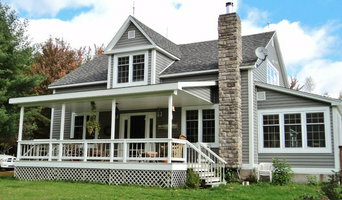 Also do roofing, siding, and windows, as well as garages, decks, porches and gazebos. We are a Handcrafted Log Home and general contracting company. In business since 1984 building beautiful log homes. We are a family business and carry on the art of handcrafting a log home with drawknives, chisels and chainsaws. Looking to make your living room cozier? Hoping to update your dated kitchen’s style? New flooring can do wonders for your renovation project. At Floor Experts Inc., we supply all types of flooring including hardwood, carpet, tile, laminate, and ceramic as well as provide professional floor installation throughout Oromocto and the surrounding area. From laying tile to refinishing hardwood floors, our years of experience allow us to adapt to any flooring project you have. Floor Experts Inc. is also a dealer for Benjamin Moore paints, Hunter Douglas blinds and carries a large selection of wall tiles for backsplash, shower and other wall applications. Top Shelf Cabinets is a certified cabinet dealer for Ready To Assemble, Pre Assembled and Custom Cabinetry. We offer a FREE design service along with outstanding customer service. We take great pride in our designs and feel the kitchen truly is the heart of the home. With family memories made in the kitchen we feel like we have become a part of each of our clients families ! East Coast Rustic is a true craftsman shop that produces hand made furniture and accessories out of reclaimed wood. 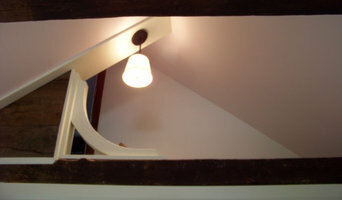 We source products locally from old barns and houses and transform the materials into exciting new items for your house. Our items are hand made by Mike our craftsman in his shop on the East Coast of New Brunswick. We ship our US orders from Maine and our Canadian orders from New Brunswick to avoid any customs issues. Hardscapes Is a Locally owned and operated in Fredericton New Brunswick. We strive to provide our clients with a unique design and a professional product. We are the local Techo bloc Installers. We are Landscape Horticulture and ICPI certified. I am a full service upholstery shop specializing in residential furniture. I restore sofas, all types of chairs, custom cushions and any project needing care and attention. Many people have used my sewing services and I enjoy restoring family heirlooms and pieces that are sentimental to their owners. I consider my shop a "hospital" for worthy and valuable furniture in need of a spruce up or an overhaul. You have someone you can count on when I restore your valuables. Just as the mantra implies, Kaleidoscope Interiors is about providing great design, no matter what the style. Any and every space has potential, and there is nothing that drives me more than the opportunity to unlock that potential! Vous avez besoin de quelqu’un pour vos travaux ? Lisez nos trucs et astuces pour trouver les bonnes adresses de professionnels Calais, ME. Utilisez la liste de pros recommandés pour votre recherche de contact d’artisans locaux, de sociétés du bâtiment et autres professionnels des travaux partout en France. Comment trouver des professionnels du bâtiment Calais, ME ? Avant de vous lancer dans d’interminables recherches, réfléchissez bien aux points suivants. Quel est votre budget travaux et quelle est l’étendue de votre projet ? En effet, si vous souhaitez installer une cuisine aménagée, refaire votre décoration intérieure ou une rénovation de salle de bain, vous devrez faire appel à plusieurs types d’experts dans votre secteur. Avez-vous les moyens financiers pour entreprendre de tels travaux en une fois ? Il peut-être préférable de procéder par étape. Une fois que vous aurez déterminé vos priorités, le budget et l’étendu de votre projet, vous pourrez chercher des professionnels Calais, ME. N’hésitez pas à utiliser votre réseau de connaissances pour obtenir des recommandations sur des professionnels compétents dans la région. L’avis et l’opinion de vos proches sont très utiles pour vérifier le sérieux d’un prestataire. Comment choisir des entreprises du bâtiment Calais, ME ? Pour trouver le meilleur professionnel de la maison pour vos travaux Calais, ME, cherchez parmi les 672 professionnels inscrits sur notre site et affinez votre recherche dans la section « Trouver un pro » par localisation ou par nombre d'avis. Nous vous invitons à regarder des photos de projets Calais, ME et à prendre contact avec chaque entrepreneur, artisan et société Calais, ME pour plus d'informations.